Different types of nodes have specific ultimate bonuses. Divine node benefits are not known at this time. Military nodes enable Bounty hunters and reduced duration of corruption. Scientific metropolises offer fast travel to nodes within their zone of influence. 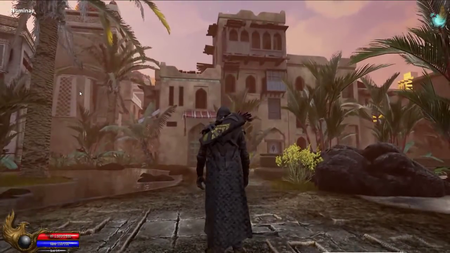 Each Node Type has a Unique Building associated with it that can be activated at Level 3, the Village Stage. Some utilities can only be used by Citizens of the Node. 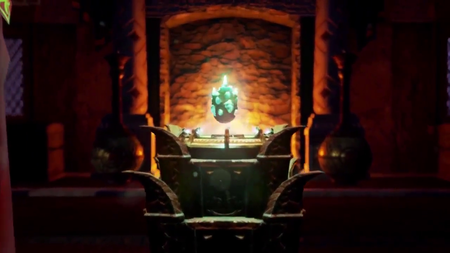 Nodes will experience atrophy and will require continued player activity in order to grow. If a node loses too much activity, then it may result in a PvE siege against that node. Node governments decide the location and types of node buildings to be constructed within sectors of a node. 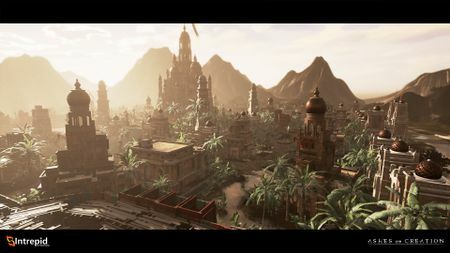 When the building types are determined, the community will then need to bring resources into the node (using caravans) and come together to construct the buildings (via quests and the like). The government decides how to specialize their node. Once they choose certain things they won't be able to choose other things. 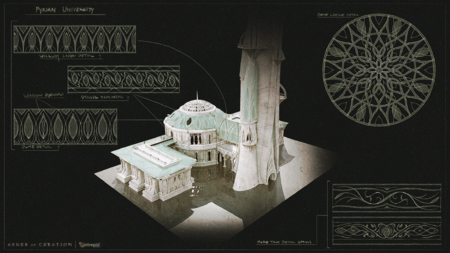 Different governments may change the buildings within a node. And there could be regime change... If somebody doesn't like the fact that a market was built and they want to re-elect a new government next cycle, they can do so... and that market could be destroyed and a new building take its place. Pre-defined parameters limit the number of buildings at in-node locations. 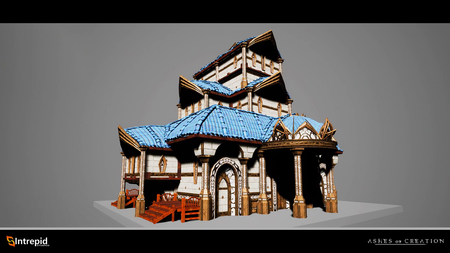 Player housing comes in the form of Static housing, Apartments and Freeholds. 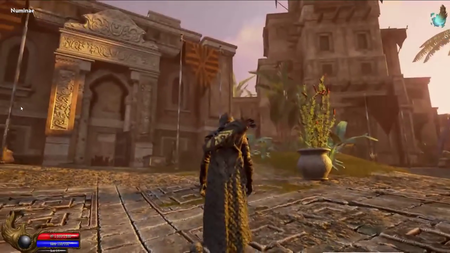 Player housing grants the ability to claim citizenship of a node. Citizenship tickets may also grant citizenship to certain node stages. This mechanic will be decided based on testing. 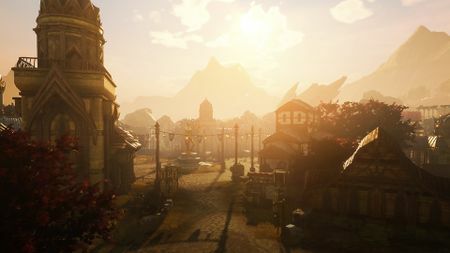 Citizenship can be claimed for Village (level 3) nodes or higher. A player can only claim citizenship to one node at a time. Only one citizenship may be declared per account, per server. This may have changed to one citizenship per account. Changing citizenship has a cooldown of two weeks. 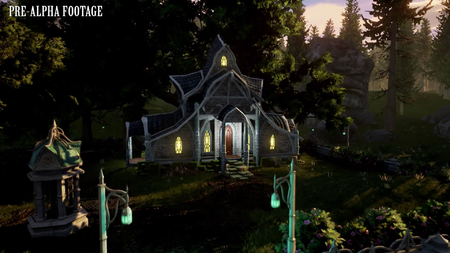 Player housing ownership is not affected by citizenship changes. 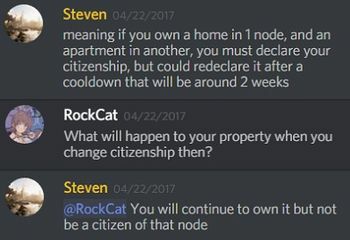 A player does not need to declare citizenship of any node. These players won't need to pay taxes but will miss out on benefits of citizenship. A successful siege will destroy the node. There will be spoils from successfully sieging a node. 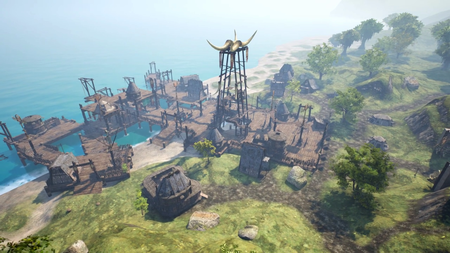 Nodes can be destroyed starting at level 3 (Village), and are destroyed through sieges. Nodes can delevel based on node atrophy. Nodes can delevel to stage 0 (wilderness) after a successful siege. A node cannot delevel more than a single level at a time. Different races becoming primary contributors. Design elements determined by different governments. Reactions and interactions with other nodes in the world. 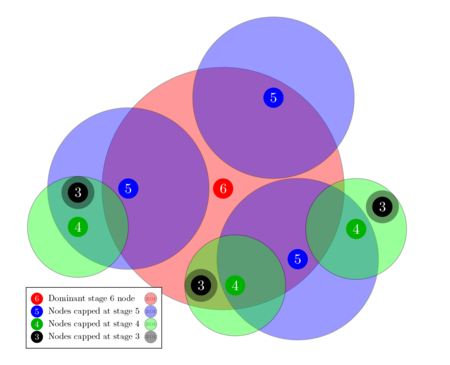 Node governments are chosen from a node's citizenry when a node reaches stage 3 (Village). The method of choosing the government and its mayor depends on the node's type. 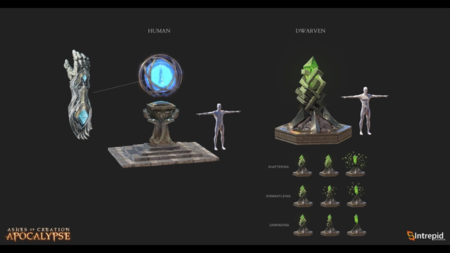 Divine node governments are chosen from citizens via service oriented quests that prove faith and dedication to the node. Scientific node governments are elected democratically. Government officials will have wide-ranging abilities to influence their node. Mark foreign citizens of other nodes as enemies of the state. Declare war on another node and rally citizens to the cause. Governments may be able to choose a node name from a predetermined list. The government has a lot of say in the direction of the nodes development. Directing assets, building projects, tax allocation, defensive ability etc. 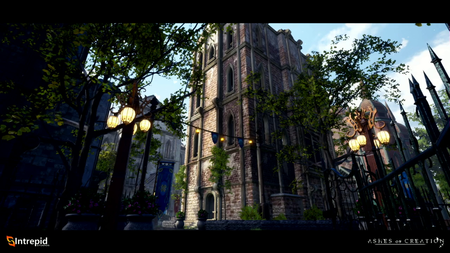 Players have the ability to not only create these cities, but they have the right of self-governance. 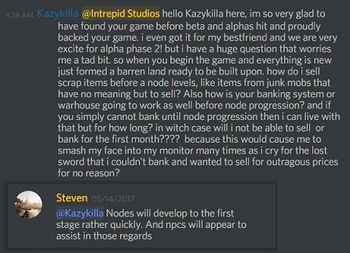 Guilds do not control nodes. 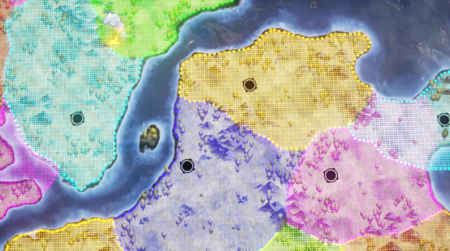 Guild leaders will likely not be able to be mayors of nodes. Guilds hold separate roles in the direction of the node than the roles held by private citizens. Only a certain number of guilds may participate in these roles. 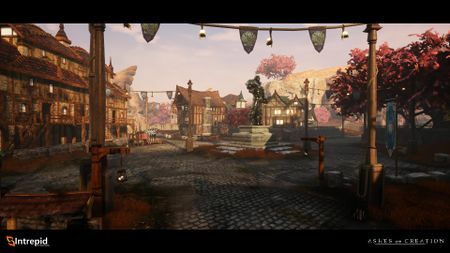 Separate guild roles are reserved for small, medium and large guilds. 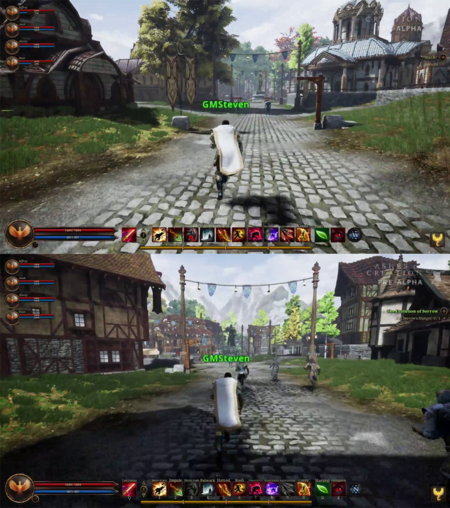 Guild’s also hold separate roles in the direction of the node, than the roles held by private citizens, and only a certain number of guilds may participate in these roles. 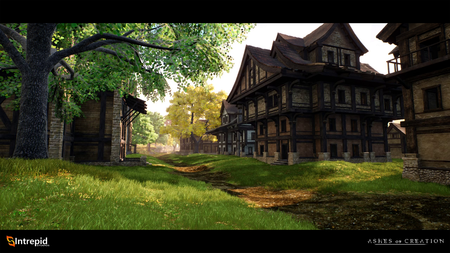 Separate guild roles are reserved for Small size guilds, medium size guilds and large size guilds. 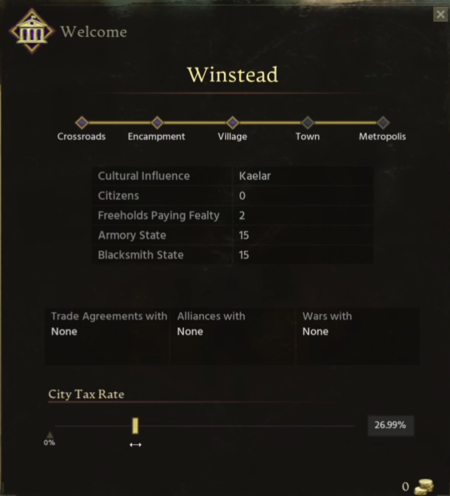 Mayors/Node governments allocate resources, taxes, and quests to help develop node defenses. Tax money only goes toward funding node development. Parent nodes take a cut of all taxes from the housing and any services that occur within their ZOI. This tax doesn't necessarily impact the individual citizen, because citizen's tax levels are determined by their node, but the node's finances are affected by the taxation levied by its parent nodes. There won't be a civil war mechanic within nodes but there will be scope for internal political conflicts; such as undermining the current leadership and disrupting trade. ↑ 1.00 1.01 1.02 1.03 1.04 1.05 1.06 1.07 1.08 1.09 1.10 1.11 1.12 1.13 1.14 1.15 1.16 1.17 Node series part II – the Metropolis. ↑ 4.0 4.1 4.2 4.3 4.4 4.5 A reactive world - Nodes. ↑ 5.00 5.01 5.02 5.03 5.04 5.05 5.06 5.07 5.08 5.09 5.10 5.11 5.12 5.13 5.14 5.15 5.16 5.17 5.18 5.19 5.20 5.21 5.22 5.23 5.24 Blog - Know Your Nodes - The Basics. ↑ 7.0 7.1 Livestream, 4 May 2017 (15:15). ↑ 21.0 21.1 Livestream, 9 July 2018 (39:32). ↑ 22.00 22.01 22.02 22.03 22.04 22.05 22.06 22.07 22.08 22.09 22.10 22.11 22.12 22.13 Blog - Know Your Nodes - Advance and Destroy. ↑ 23.0 23.1 Livestream, 12 December 2018 (14:48). ↑ 24.0 24.1 24.2 Livestream, 16 October 2017 (50:20). ↑ 29.0 29.1 Livestream, 26 May 2017 (28:16). ↑ 33.0 33.1 33.2 Interview, 20 October 2018 (2:36:25). ↑ 34.0 34.1 Podcast, 4 August 2018 (1:35:58). ↑ 36.0 36.1 36.2 36.3 36.4 36.5 Livestream, 27 September 2018 (53:06). ↑ 37.0 37.1 Interview, 11 May 2018 (54:34). ↑ 39.0 39.1 39.2 Interview, 11 May 2018 (47:27). ↑ 40.0 40.1 40.2 Interview, 11 May 2018 (1:00:19). ↑ Livestream, 1 September 2018 (36:28). ↑ 42.0 42.1 42.2 42.3 42.4 Livestream, 19 May 2017 (33:57). ↑ 43.0 43.1 Livestream, 20 January 2018 (38:17). ↑ 45.0 45.1 45.2 Podcast, 23 April 2018 (29:56). ↑ Video, 25 May 2017 (1:07). ↑ 48.0 48.1 Interview, 11 May 2018 (50:47). ↑ 51.0 51.1 Livestream, 12 May 2017 (52:01). ↑ 57.0 57.1 Livestream, 9 July 2018 (27:12). ↑ Livestream, 19 May 2017 (53:24). ↑ 59.0 59.1 Interview, 11 May 2018 (50:05). ↑ Interview, 20 October 2018 (2:36). ↑ 62.0 62.1 Video, 5 April 2018 (41:48). ↑ Livestream, 26 May 2017 (44:52). ↑ Livestream, 24 May 2017 (52:39). ↑ Podcast, 11 May 2018 (52:20). ↑ 77.0 77.1 Livestream, 30 June 2017 (53:57). ↑ 79.0 79.1 79.2 City hall. ↑ Livestream, 19 May 2017 (36:05). ↑ Livestream, 19 May 2017 (36:09). ↑ 86.0 86.1 Interview, 11 May 2018 (57:02). ↑ 87.0 87.1 87.2 87.3 87.4 Podcast, 11 May 2018 (21:07). ↑ 93.0 93.1 93.2 Livestream, 8 April 2018 (PM) (1:01:28). ↑ 102.0 102.1 Livestream, 17 May 2017 (11:27). ↑ 104.0 104.1 Interview, 20 October 2018 (5:51). ↑ Livestream, 24 May 2017 (40:50). This page's content was last modified on 21 April 2019, at 22:50.